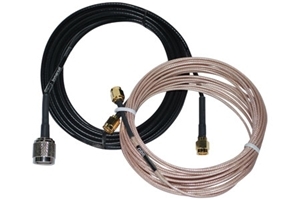 Beam ISD932 Inmarsat 6m (20 feet) antenna cable kit provides a flexible installation option for compact/short distance installations, where the docking unit is located close to the antenna and is pre-terminated with SMA/TNC connectors. The kit includes 6m of Inmarsat antenna cable and 6m of GPS antenna cable. The cable provides a flexible installation option for most marine or transport installations.